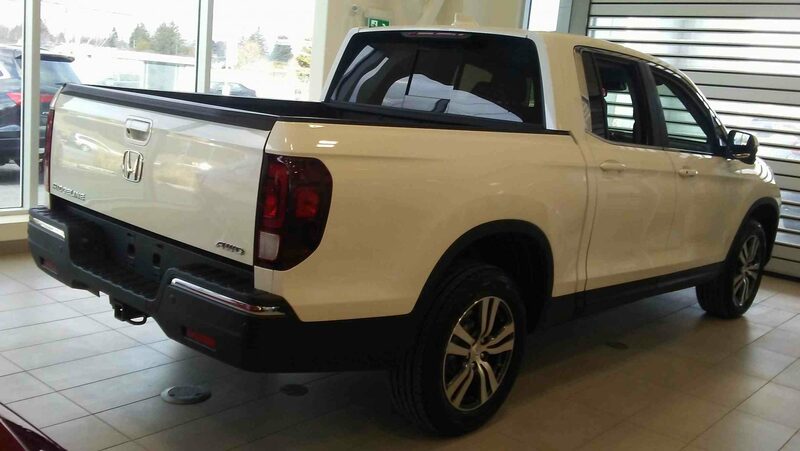 Dow Honda | 2019 Honda Vehicles | The 2019 Ridgeline has Arrived! The 2019 Ridgeline has Arrived! Hey, Ridgeline lovers! The first member of the 2019 Honda lineup joined us today, and it is for you! 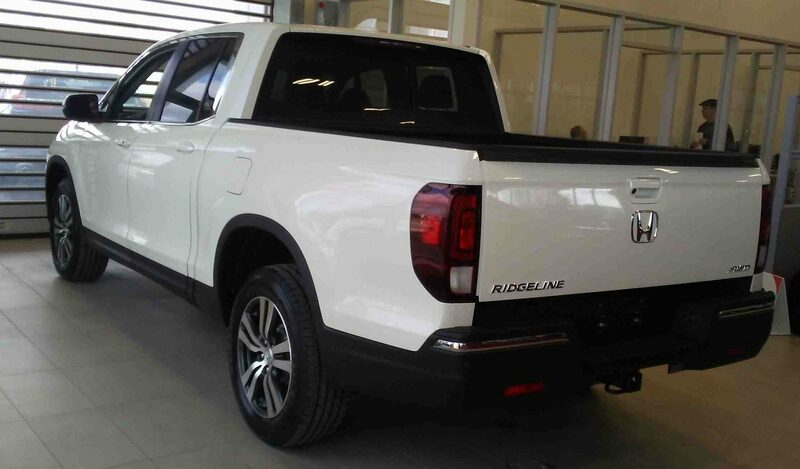 We have a 2019 Ridgeline EX-L right now on display in “White Diamond Pearl”! It is powered by a 3.5L, 24-valve, Direct Injection, SOHC, i-VTEC, V6 engine and can tow up to 5,000 lbs. The interior is grey leather, with heated front and rear seats. The second row of seats are able to fold down to expand the storage space. The Ridgeline’s trunk bed has an in-bed trunk and a dual action tailgate. Loading up the is made simple with the proximity key entry, pushbutton start, and remote engine starter. 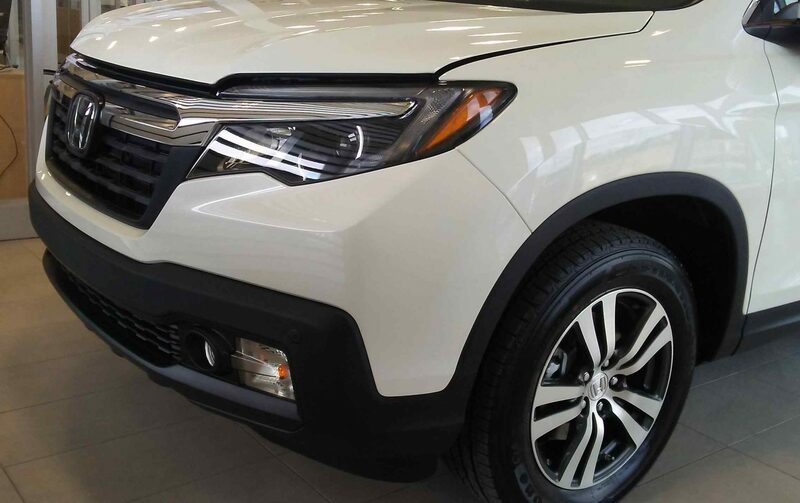 The 2019 Ridgeline has a great collection of Honda safety technology! It is outfitted with the entire Honda Sensing package, which includes Forward Collision Warning, Lane Departure Warning, the Collision Mitigation Braking System, and more! The Ridgeline also comes with LaneWatch blind spot display, a multi-angle rearview camera, front and rear parking sensors, and HondaLink Assist. For using apps, taking phone calls, or listening to music, the Ridgeline is compatible with Apple CarPlay, Android Auto, and HondaLink! If you have any questions about the 2019 Ridgeline, click here to contact us!